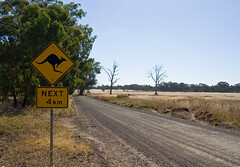 If you’re a New Zealander visiting Australia, your current drivers license will be sufficent as long as it is valid, current and hasn’t been suspended. If however you are planning to migrate permantenly or stay in Australia for longer than 3 months, you’ll need to get your license changed over to an Australian one. The rules and process for doing this differs between states. If you’re moving to live in Melbourne or another town in Victoria, you’ll need to phone and make an appointment to change your license over. Call VicRoads on: 13 11 71. If you’re calling from New Zealand, the international number is: + 61 3 9854 7763. Your completed application form. This can be downloaded from the Vic Roads website. Your New Zealand drivers license. Unfortunately this will need to be surrendered in order for you to receive your new license. If your New Zealand license is no longer valid, check the Vic Roads website for more information about what you can do to obtain your Victoria license. If you’re moving to Brisbane, the Gold Coast or anywhere else in Queensland you’ll need to apply for your new license through the Queensland Governments ‘Transport and Main Roads’ department if you are staying for longer than three months. As long as your New Zealand license is valid, you will not be required to sit a test. As in the other states mentioned above, the three month rule applies in New South Wales. This means that you if you stay longer than three months you’ll need to get a NSW license to continue to be able to legally drive. As a New Zealand citizen you will be exempt from sitting a test as long as your license is current and valid. More information is available on the NSW Goverment Roads and Traffic Authority website. Like in the states listed above, you are exempt from taking a test if you hold a current, valid New Zealand drivers license. More information is available on the Goverment of Western Australia Department of Transport website. Information can be found on the Northern Territory Transport Group website. Information can be found on the Department of Infrastructure, Energy and Resources website. Melbourne (VIC), Brisbane (QLD), Sydney (NSW), Western Australia (WA), Darwin (NT), Tasmania.